J​ust for you. Because of you. To remind you…to love you. 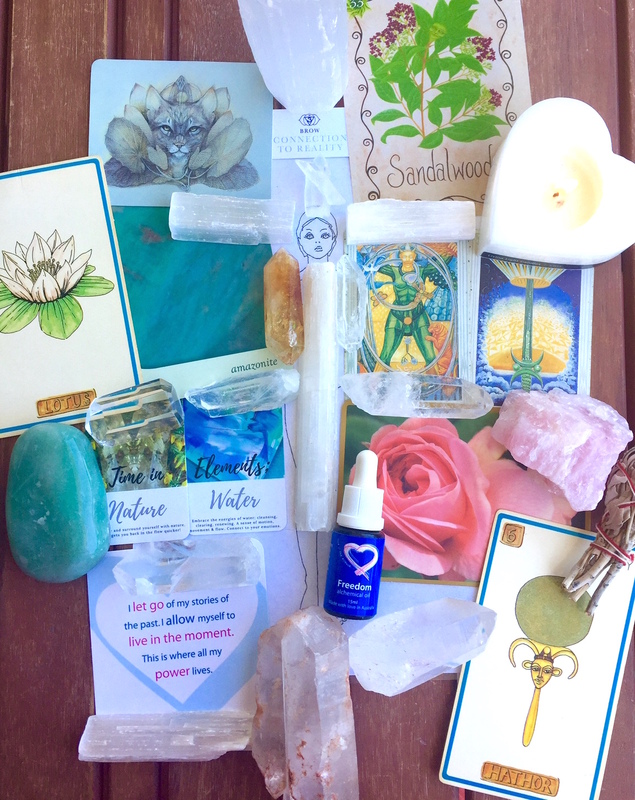 A magical combination of a Sacred Self session followed by an aromatic bottle of what your soul is calling for…. Your Sacred Scent is more than just a “custom perfume” ― it’s a bottle of pure adoration, crafted just for you, because of you, to remind you … to love you. Ordering a Sacred Scent is an incredible way to mark a high-holy occasion (like a wedding ― or a liberating divorce! ), celebrate a personal victory (finishing that MBA), or commemorate a new dawning in your life. Maybe you are stepping into the greatest version of yourself? So firstly I will record a Sacred Self session, based on your intention (just a couple of sentences will do). We will see what is the highest priority for you at that time. Then the magic will continue…and I will create a Sacred Scent to support that intention, based on what your highest self communicates during the session for you to anoint yourself with over the next 2-3 months. Your Sacred Scent is created during a magical ceremony with certified organic essential oils and vibrational essences – infused with crystals and gems, hand-plucked flowers, light + music, symbols and chanted blessings. 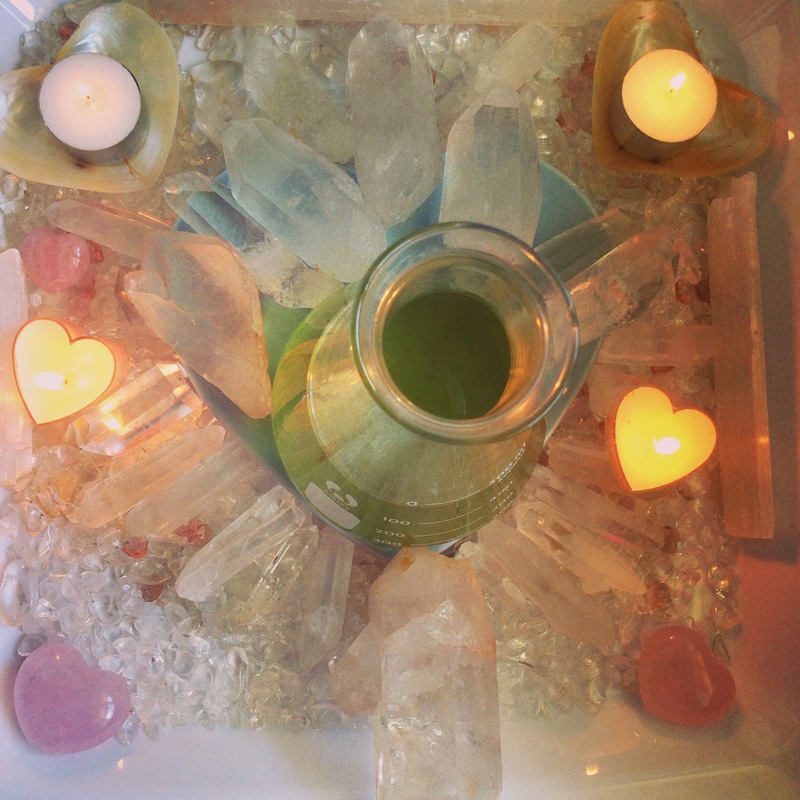 Your Sacred Scent will be charged with love in its very own crystal grid for at least 48 hours. You will receive a 15ml bottle – one of a kind – just like you. It is utterly one-of-a-kind, like you ― you will literally be the only human being on earth to possess and wear your Sacred Scent. You can use it as a daily perfume, combine with chakra healing and apply to deepen your meditation practice, or use it all over your body for the World’s Most Luxurious Massage. Ready to order your special magical creation? I thought you’d never ask! Of course you may also be ordering this as a special gift for a loved one – with their permission of course. When I receive your order, I will check in with you about your intention. Let your sacred ceremony begin!